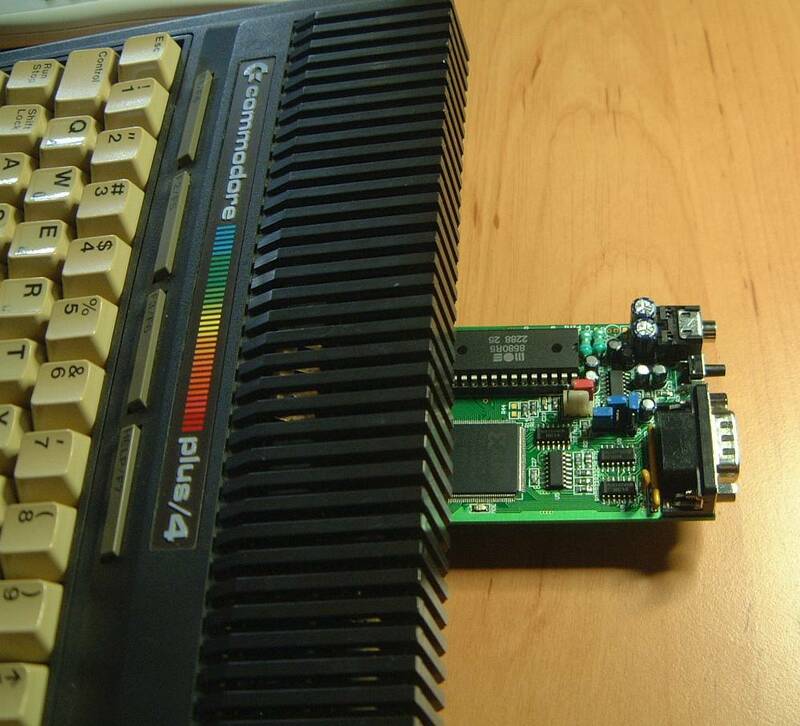 Something new for something old, TED, aka Plus4 and 264, gets a SID chip. Now internally the TED was occasionally accused of having raucous squawking noises, <cough> Terry Ryan <cough> but I never said that simply because the spell checker on the VAX that we used didn't work well enough to spell raucous, I settled for "noise problem". Ultimately the chip guys got the noise problems under control which were 1) charges getting dumped when transistors switched, sounded like stepping on a chicken <squawk> , and second the white noise wasn't so white, it was more like outboard motor colored. Someone ran a random number generator in basic and manually seeded the bucket brigade for the white noise generator. 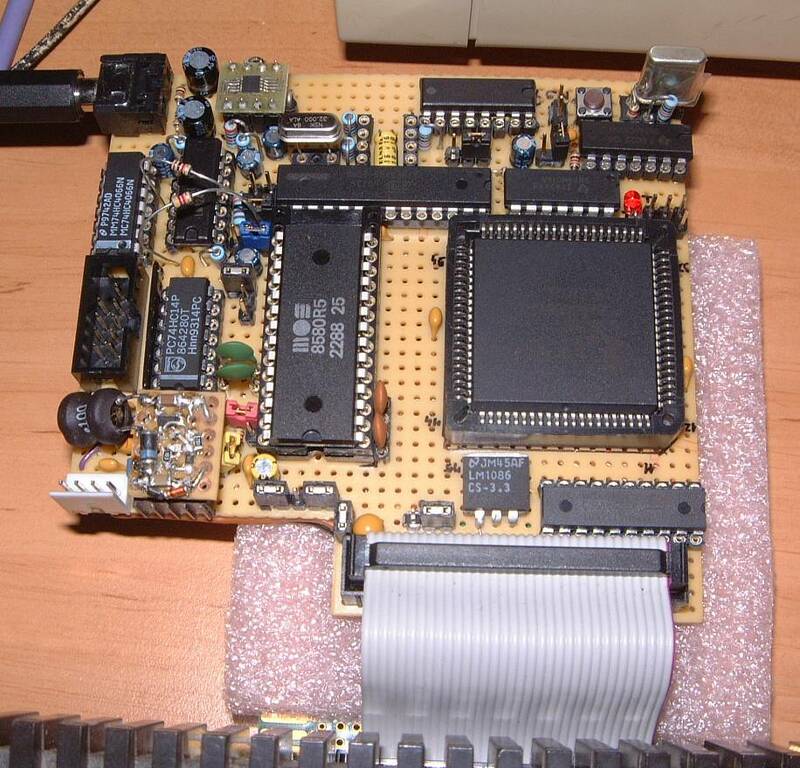 The TED chip, the heart of the 264, was the first 121 color chip with built in sound that I was aware of. 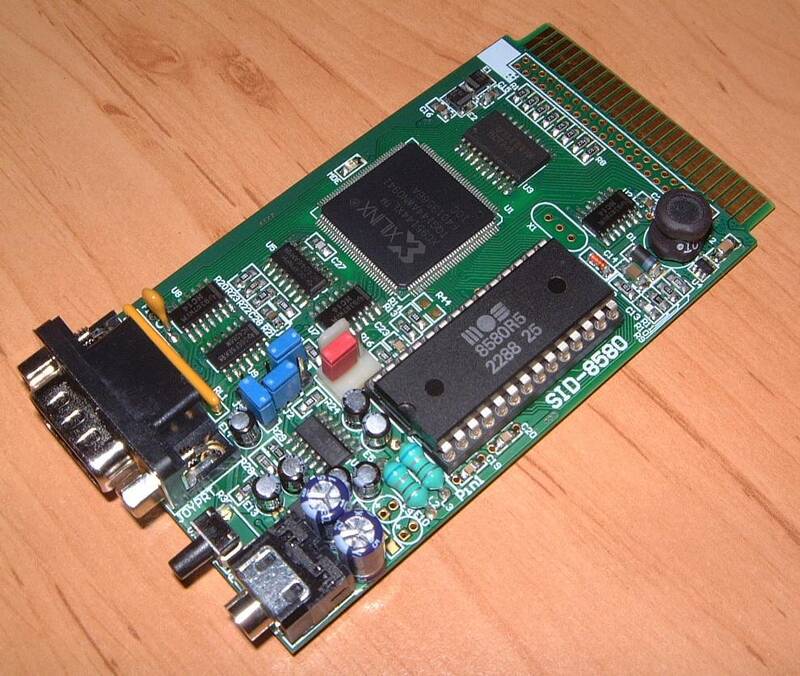 Actually, SID cards have been introduced long-long ago, already in the "golden era", way back in 1992. http://plus4world.powweb.com/hardware/Solders_SID_Card_Older . Solder a.k.a. Christian Schäffner still seems to have his old (late '90s) website up and running these days, he keeps lots of old docs and schematics online ( http://solder-synergy.de/plus4/hardware/index.html ), including the sch of his SID card; http://solder-synergy.de/plus4/hardware/makers/sid.gif . This card has actually been pretty "widely" available (relatively speaking... ie. there must be some ten, maybe some hundred cards out there). That's why a handful of programs already have SID support. This new card was designed by Balázs Szabó (name in Western name order) a.k.a. BSZ of NST. http://bsz.amigaspirit.hu/nae/ . It has an extended set of capabilities compared to Solder's original card (as you pointed out, implemented on a large Xilinx CPLD), and completely new clock generation and analog signal circuitry. It also implements the playback capability of the DigiBlaster, originally an add-on card to Solders SID card (8-bit sample recording and playback) onboard. This board pictured is quite a bit different than the pics on plus/4 world. 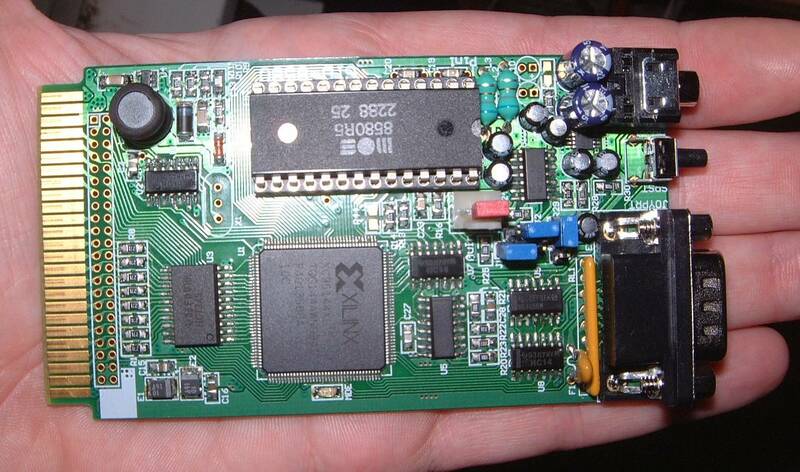 Why does a Plus/4 SID card need a giant Xilinx chip? hmmm. Is there a web site with any more info?